Because who doesn’t love a good pie chart? 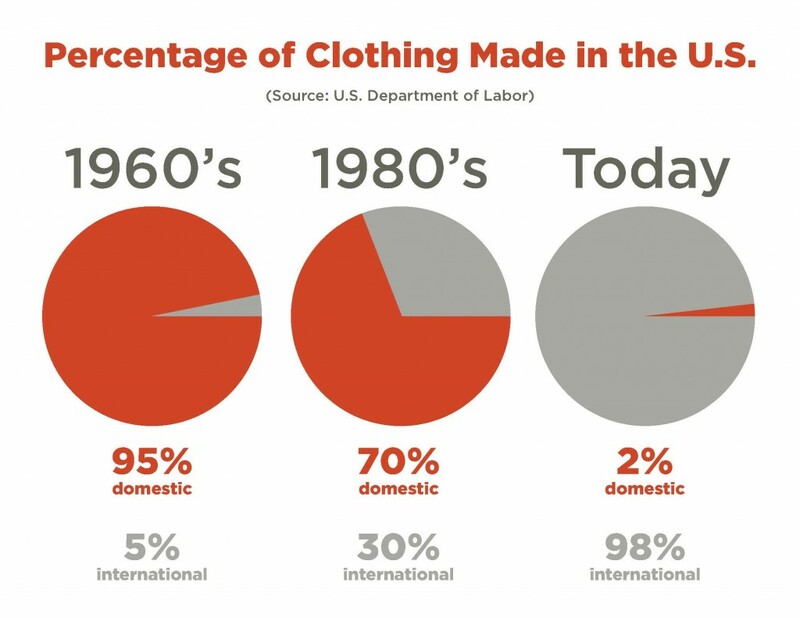 The majority of clothing bought by U.S. households up till the 1990’s was made domestically. Between 1990 and 2011, the U.S. lost 750,000 apparel manufacturing jobs – that’s 750,000 skilled people who found themselves out of work. The demand for clothing is not going anywhere. The Whole Works want to ensure that the jobs stop going anywhere but here. sources: PBS, bureau of labor statistics, american apparel and footwear association.